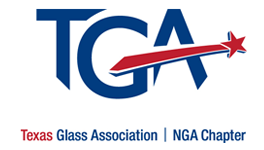 Be a recognized Professional in the glass industry and join TGA. Quarterly Chapter meetings in Dallas and Houston gives you the opportunity to meet others in your profession and attend quality seminars. The Houston Area Glass Association (HAGA) has announced the 2013 scholarship recipient at its Quarterly meeting on July 11th. Michiko McMahon, daughter of HAGA member Jim McMahon with CR Laurence, is the recipient of a $1,000 scholarship. The annual scholarship is available to any high school senior or college student referred by a HAGA member. The applicants are judged on a 350 word essay, volunteerism, and school transcripts. Applications are made available on December 1st of the year prior to scholarship award. Details available online at http://houstonglass.org/meetings/scholarship/ for the 2014 scholarship.